Best Buy update: ‘Assured Living’ assuredly up and running. And was this Editor’s in-store experience not typical? Reader and Opinionator Laurie Orlov wrote this Editor to advise her that Assured Living was most definitely alive and well in Best Buy-land. The Assured Living page presents a variety of services, starting with a personal monitoring service (video) for an older adult that starts with a fairly standard pendant PERS (two way) and also creates an in-home network of motion sensors for doors, windows, and furniture installed by Geek Squad. These sensors send activity to a control panel which tracks activity and wellness patterns (sic!–as we know it’s algorithms and rules in the software). Within about a month, the system will send real-time automated alerts if something is out of the ordinary. The video then promises the usual ‘deeper insights’ into wellness and potential issues with the older person. What doesn’t sound like QuietCare circa 2006, down to the need for installation, are the Wi-Fi camera in the doorbell and the automated remote door locks, the tie ins with the Mayo Clinic and UnitedHealthcare. We both speculated on the motion sensor set as being Lively Home (from GreatCall) –Laurie added possibly Alarm.com’s BeClose, which has supplied Best Buy in the past. Assured Living is available only in limited markets (not listed) but you can get 10 percent off with AARP! But product packages go up to nearly $189.97 for a one time fee plus $29.99/month, not inclusive of that nifty doorbell camera and remote door locks. One wonders if the reluctance of older adults to admit they need monitoring and consent to the installation is less than in 2006, when QuietCare’s and ADT’s sales people had difficulty overcoming the reluctance of a person living home on their own to be monitored by their (usually) child. Sometimes a sale would be made, the installer would come, and the installer would be shooed out after second thoughts. The genius of GreatCall was in making technology palatable to this market by assigning it a positive use, such as communicating with friends and direct personal safety, not someone minding her. Right now, the template is 2006 with a tech twist. As to this Editor’s ghostly experience buying a TV in store, perhaps I should have invited a Best Buy rep over! Reader, former Marine flyboy, eldercare expert, and full time grandfather John Boden did and got a simple solution to an annoying problem. Read about it in comments on our prior article here. It’s another reason why senior communities and housing are supposed to have disaster preparedness/evacuation plans in place. (If you are a family member, it should be included in your community selection checklist and local records should be checked. This Editor recently wrote an article on this subject (PDF) that mentions disaster and incident planning twice. (Disclaimer: the sponsoring company is a marketing client of this Editor.) In nursing homes, they are mandatory–and often not executable or enforced, as this article from Kaiser Health News points out. One telehealth company, DictumHealth, has a special interest and track record in both pediatric telehealth and global remote deployments where the weather is hot, the situation is acute, and medical help is limited. Dictum sent their ruggedized IDM100 tablet units and peripherals to Aster Volunteers who aid the permanently displaced in three Jordanian refugee camps in collaboration with the UNHCR and also for pediatric care at the San Josecito School in Costa Rica. 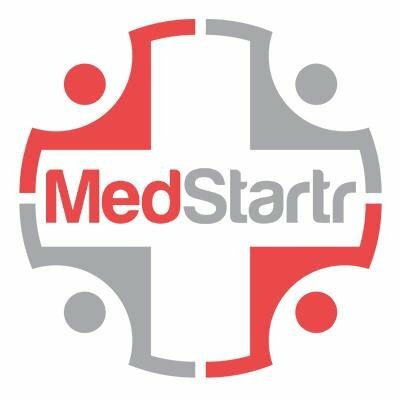 In speaking with both Amber Bogard and Elizabeth Keate of Dictum, they are actively engaging with medical relief agencies in both the US and the Caribbean. More to come on this. Can technology help to bridge the Loneliness Factor? 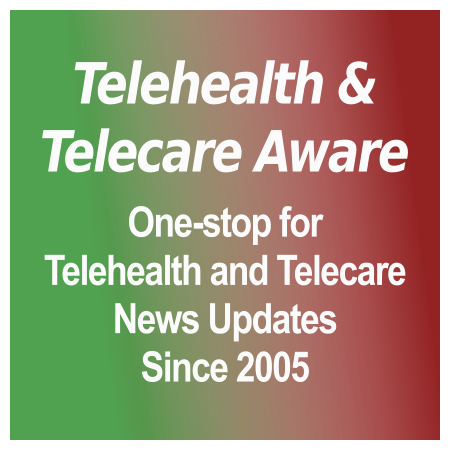 [grow_thumb image=”http://telecareaware.com/wp-content/uploads/2015/12/Lively-sensors-600×327.png” thumb_width=”150″ /]GreatCall, which markets the popular Jitterbug simple phones and ancillary safety/security services (5 Star, mPERS) targeted to older adults, has acquired the assets of home activity personal monitoring system Lively. According to GreatCall’s press release, Lively’s technologies will be integrated into GreatCall products. These include a tastefully designed brace of self-installed in-home motion sensors, which made quite a splash when introduced in 2012, and a fairly stylish mPERS watch introduced last year. From the announcement, it’s easy to deduce that Lively was largely inactive despite partnerships led by Care Innovations: the press release on both Lively and GreatCall’s site was issued from GreatCall only and not joint contact; Lively’s last round of funding was in 2013 (only $7.3 million total, another Series A to B casualty) and there are no Lively employees transitioning to GreatCall for the good reason that there are none left (Mobihealthnews). No word on founder Iggy Fanlo’s next plans save a squib on LinkedIn saying that hardware was hard and his next move would likely be in software. With last year’s sale of AFrame Digital (with no further word from the purchaser) and BeClose now Alarm.com Wellness (not a surprise as it was built on an Alarm.com platform), as we close the year it is further confirmation that it is No Country for Small Players in digital health. Photo: Lively. Update: Tart take from seasoned Aging Tech business observer Laurie Orlov on Lively’s rise and fall, with additional history. Her POV is that as attractive as Lively’s concept was, its business strategy should give pause to the Silicon Valley investor and entrepreneur crowd thinking this is just another kind of direct-to-consumer hardware-service sell, the long payout of any tech in this field and the opposed short time frame of VCs. It’s also not like there haven’t been a few predecessors fallen on the field, either. Aging in place tech firm Lively is out of business – what can we learn?